This is truly a 10 minute recipe, and one of the quickest chutneys one can make. No cooking involved, and no oil or seasoning. 15-20 small Green chilies hotter the better! 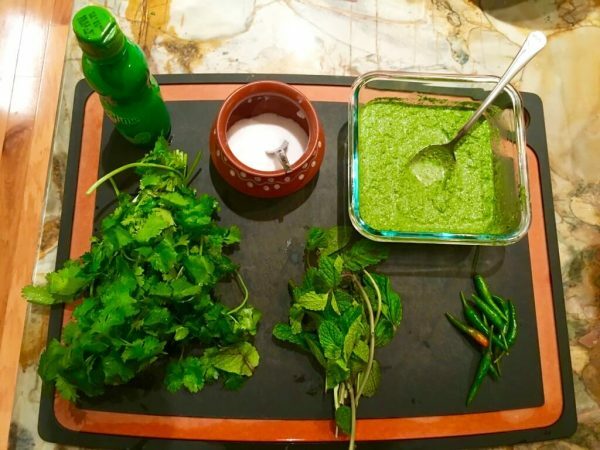 Blend the peanuts, mint, cilantro if using, and chilies with only the lemon/lime juice concentrate, adding little by little. I have never measured how much lime/lemon juice concentrate I add, just keep pouring from the bottle little by little. Add salt, and it's ready to use on sandwiches as a spread, for idli/dosa, to mix with rice, as a dip for samosas, pakoras, etc. etc. I learned this recipe about 20 years ago, from my dear friend Usha, and have made it hundreds of times. 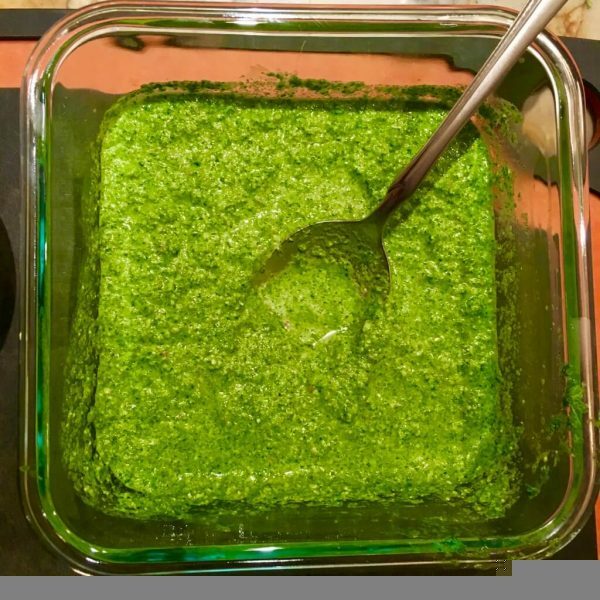 This chutney just pops with its bright colors, and the bright flavor profile - with the mint, and the lime. It's a shot of vitamin C. I used to make sandwiches with this chutney when the kids were in elementary school - one of their teachers became a huge fan after my daughter offered her a taste, and I would pack extras. It's high in protein, good fats (from the peanuts), and packs a vitamin C punch with the lime/lemon juice, and the green chilies. Not to mention the goodness of fresh mint! This chutney is my most favorite go to chutney. I always make it super hot, but feel free to cut down the heat. You may also use fresh squeezed lemon/lime juice - it's just more convenient to use the concentrated kind.